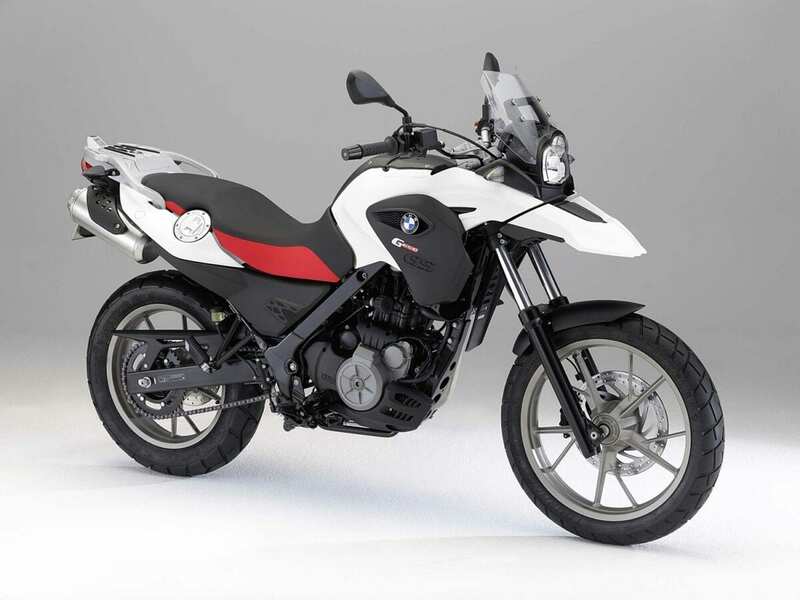 This is the BMW G650GS and in this guise (the low suspension option) it’s a bike that is so perfect for so many people that it should be given an award in its own right. Times are hard for many of us right now, with the economic situation threatening to worsen before it improves. Using the roads has never been pricier, and fuel prices are so sky high that plenty are being forced to consider and justify the cost of their journeys. 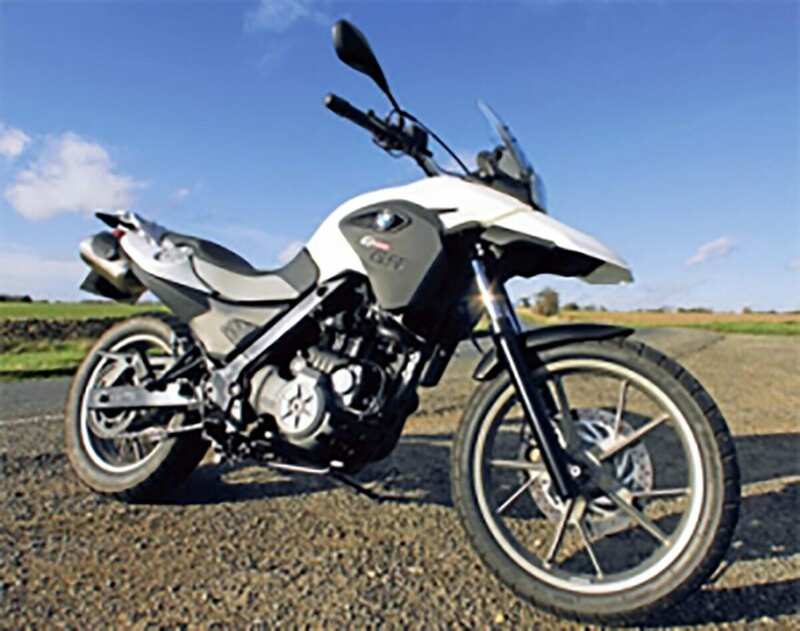 We as motorcyclists know there is a cheaper alternative, and one of the most economic bikes on the market is BMW’s G650GS. Priced attractively at a lowly £5250, the single cylinder roadster continues being light on the wallet with its very low running costs. Most impressive of those is the Bee-Em’s outstanding fuel consumption. Averaging 62mpg and giving a possible best of over 70 miles from a gallon of unleaded, it’s not often this bike needs to visit the pumps. Other current machines may be able to match this frugality, but not one of them offers the same engine and chassis performance as the 650. We tested the low suspension version of the bike (£170 extra than the base price), with a quick run out on the standard model for comparison. The modest, fuss-free machine never really excited me at any point during the fortnight I had it, but I did learn to admire it a great deal. The GS is just so easy to get on with and goes about its business in such an economic and unflustered manner, it’s hard not to find it endearing – even if its no thrills personality takes time before it has that effect on you. One particular 225-mile day I had on the BMW summed up its abilities perfectly. A trip to an event in west London demanded a 6.30am departure from home, and given the need to make the appointment on time I used the speediest of routes. Cruising for more than 100 miles along the M4 proved easy work for both man and machine. Covering longer distances at speed isn’t something you’d perhaps expect on this quite basic spec machine, though as my trip that day proved, the GS is more than capable of such feats. 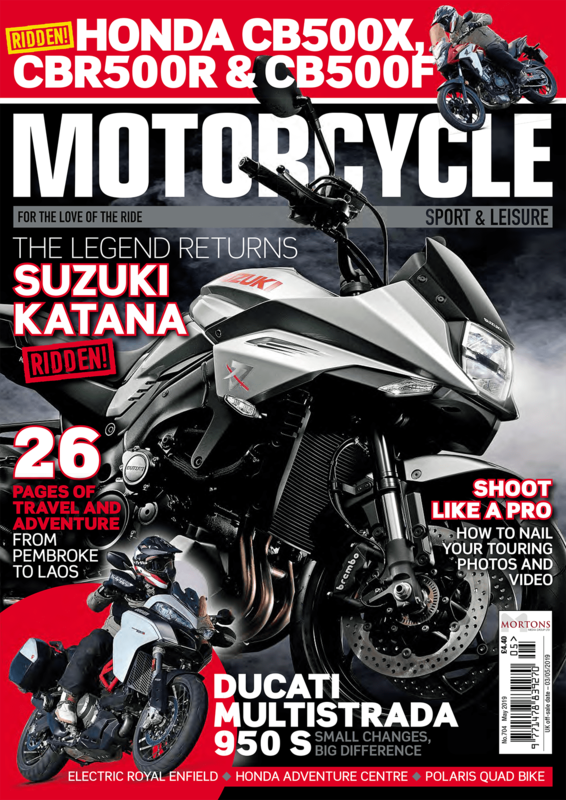 Along with the relaxed riding position, one of the biggest assets to the mile-eating is the bike’s screen which fends off far more wind than you’d think. Keeping up with the morning east-bound traffic and cruising around 80mph was a pretty calm affair. Holding a slightly greater pace than that is also comfortable, and though I wouldn’t necessarily like to do that all day long I’d personally be happy to deal with it for a few hours. There’s a hint of vibration from the engine when it’s revved harder, but it never becomes obtrusive and the excellent mirrors always remain crystal clear. With fuel consumption at that speed being just under 60mpg, I’d learned previously you can run for two-and-a-half hours before refuelling and not feel any pain or strain. As time went by, and more drivers joined the run to work, the GS efficiently and effectively continued contentedly. Then, after turning off the motorway and getting into the thick of the congestion, it showed its true colours. Excellent agility provides it with real traffic-beating potential. It takes only the lightest touch to get the BMW to change course, and with the punchy engine delivering instant acceleration, just thinking about where you want to be within the muddle of vehicles is often enough to have you there. The 650 motor won’t pull the highest of its five gears at very low speeds without snatching, but it’s still flexible and useful enough to make town-travel relaxing. I wasn’t too familiar with my surroundings as the London traffic became even more gridlocked, but being the easy-going ally that it is, I happily maintained the same level of composure as the bike. Mistakes in heading are easily corrected thanks to its light weight and generous steering lock, and the reduced seat height helps balance by keeping the overall mass lower, as well as allowing a secure footing whenever you become stationary – all nice virtues when battling for progress in the urban zone. The ABS brakes are also of benefit. They’re not standard on the GS and taking the factory-fitted option will cost an extra £730. That’s quite an addition to the initial cost, but travelling along the hazardous-looking oily streets of the capital felt all the more safe for having them on the test bike. I reckon the heated grips the press GS had would be another extra I’d plump for too. They’re not too cheap at £230, but what price warm pinkies eh? Job done in London then meant a trip to BMW-dealer, Vines in nearby Guildford, to give the taller standard bike a quick run. It felt quite a bit different with its 40mm taller perch. For starters the purchase of my boots wasn’t quite as solid at a standstill, and backing out of parking places didn’t always feel as secure if the gradients or cambers weren’t favourable. But even when under way, the taller GS gave a slightly alternative feel thanks to perching its rider a little higher. I soon got used to this though, and the issue only became apparent once more when I jumped back on the lowered bike for the ride home. The good news is having the option of a bespoke bike, and between the choices of lowered chassis and different seat heights you can tailor your Bee-Em to suit you best. All but oddly dimensioned riders should find the comfort level they prefer. Having scored highly along motorways and in town, I chose twisty A-roads for my return leg. Again the 650 did well and despatched the 130-odd miles with ease. Fast enough for the open roads, acceleration from 50mph is brisk enough to complete overtakes with commitment and safety. Though it has to be said, the modest power of the single cylinder motor, which can trace its roots back to the 1993 F650 Funduro model, is quite calming and had me taking it easier on a number of occasions. The homeward journey did highlight one weakness though and, as usual with many cheaper bikes, the action of the suspension isn’t quite as compliant as it could be. The fork especially feels a bit crude. And though there aren’t any issues with control or comfort as such, the way it can give a slightly choppy ride over road imperfections shows the spring and damping settings aren’t as well matched as they could be. For what it is though, the G650GS can’t be viewed badly in this respect. Its handling is generally good and provides a ride that’s very easy to manage with a light and effortless feel. All in all, the bike has far too many other qualities going for it to make much of the forks’ shortcomings. Describing the day’s trip as being quite uneventful and forgettable to my girlfriend once I got home might seem a little damning of the bike. However, in the case of the BMW it actually represents praise and sums it up perfectly. This is a bike that just gets on with the job you ask of it (and it can do plenty of different ones just as happily) without ever really drawing attention to itself. It’s a bit like a silent servant who does little than ably achieve the task you set it. Better still is its desire to be paid nothing more than the minimum wage for performing its duties. I couldn’t get the fuel consumption to drop below 52mpg, however hard I tried, and on one occasion riding steadily returned 73mpg – an especially appealing feature. I asked BMW technical spokesman Steve Bellars why frugality was a trademark of the German brand and he revealed that many lessons had been learned from the car division. The main secret was having engine management systems which allowed the engines to run extremely lean. And with knock sensors to deal with any chance of damaging pre-ignition, using this very economical mixture strength carried no risks. Running a G650GS obviously doesn’t carry too much risk of damaging your finances either. I don’t know of any other bike of this capacity that can return such impressive mileage figures. And when you consider the friendly (though ample) performance will mean bills for consumables like tyres, brakes and transmission won’t be high or regular either, the BMW is a bike you won’t have to consider the cost of before any ride.